Nelson Chamisa claimed he was born to be a leader of the country of Zimbabwe and the people gave him the mandate to lead them. Leader of the MDC-alliance Nelson Chamisa may have been unable to win either the election or a case at the country’s constitutional court that sought to show his rival’s victory to be illegitimate, but that isn’t stopping his followers from holding an “inauguration”. 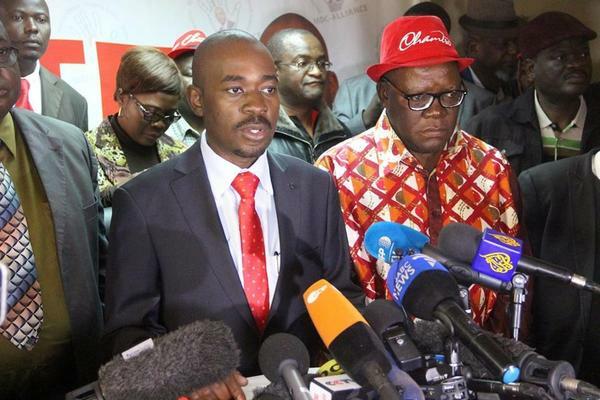 Zimbabwe’s main opposition party plans to hold the mock inauguration to name its Chamisa as the country’s president this weekend, highlighting its claims the July 30 election was rigged. Chamisa’s legal bid to have the result overturned due to alleged electoral fraud and irregularities was rejected by the constitutional court on August 24. “He will be recognised as the legitimate president of Zimbabwe by his party and the people of Zimbabwe following resolutions of the national council,” MDC spokesperson Nkululeko Sibanda told AFP. Sibanda said Chamisa had been denied victory by “cheating and chicanery” and that the ceremony would be held on Saturday when the party celebrates its 19th anniversary. Chamisa and his party’s attempts to “inaugurate” the leader have been met with threats from the government. “Any attempt to delegitimize government will not be tolerated and those bent on causing anarchy will be dealt with mercilessly,” wrote deputy minister of information and publicity Energy Mutodi on his official Twitter page. Chamisa told New Zimbabwe he would only consider dialogue with Mnangagwa if the president “acknowledges” Chamisa’s victory in the elections, saying he was not interested in making a deal. “I do not care about positions,” Chamisa said. “This dog is not barking because it wants a bone. I am barking because my masters, you, the people, have asked me to bark and bite. “I do not need a bone. I was not born a minister or parliamentarian. I was born to be a leader of this country and the people of Zimbabwe gave me a mandate to lead them.